Access control is the modern substitute for a conventional lock that it changes the way businesses secure their properties or the method by which they restrict personnel to certain controlled areas of the building – as it requires authentication, access approval, and more important, accountability through the use of PIN, password, fingerprint and card readers, and others. A decade ago, only organizations use this access control system; but as it becomes popular and as some affordable systems are made available, modern homes also adapted to this to improve security at home and to take advantage of the convenience it offers because of its current approach in the way households accept visitors. Electric strike is one type of device used for doors to manage entry. It makes the door to remain locked to prevent anyone from going in. It opens easily from the inside without the need to use key; the strike releases the locked mechanical bolt or latch using electricity. 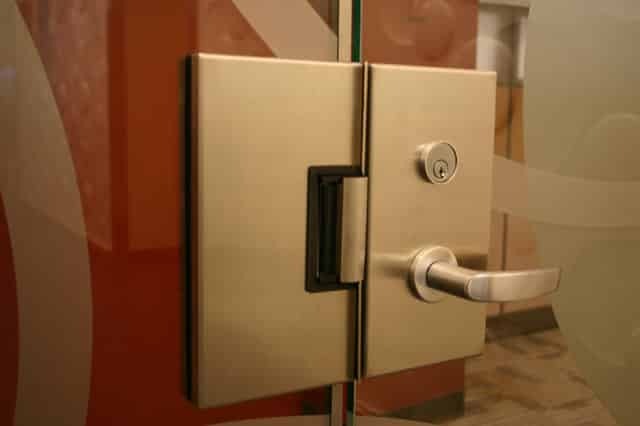 Not all doors can be installed with this device as it specifically requires doors with locksets. Correct installation must also be followed to ensure efficiency and protection. For this reason, you will need to hire the experts – San Diego Locksmith. We have been installing strikes and other access control systems to homes and businesses for many years now. Our wide range of locksmith services allows us to fulfill our goal of helping homeowners, car owners, and entrepreneurs secure their properties. Our client base is constantly growing, indicating our premium and satisfactory delivery of service. Speak with our friendly staff now. How Does Electronic Door Strike Work? Electric door strike are locking devices used in different latch bolt locksets; it replaces the fixed strike faceplate of traditional locks. They are a metal plate with a hole, where the latch falls inside to subsequently secure the door. You do not use keys to open them. They have a hinged piece of metal that swings during activation of release system. Activation happens when the panic bar is pressed from the inside or when the electronic controller outside is activated using card reader and other access control tool. It becomes clear then that they do not secure doors; doors are secured by door handle or lockset. Strikes are used in perimeter control, interior control, fire exits, elevator control, and stairwell control. These are both fail-safe and fail-secure. A fail-secure strike releases the door after it receives an electric current. It is powered through direct current, which is a low-voltage current running in a single direction, or through alternating current, which is a higher-voltage current that has the ability to change directions. 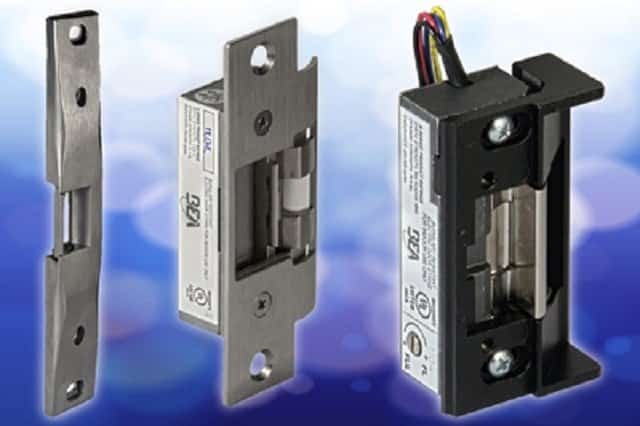 Alternating current-powered fail secure electric strikes produce buzz sound when the door opens, while the direct current-powered fail secure electric strikes works in silence. Fail-safe strikes, on the other hand, shut when electricity is given to the strikes. They operate through direct current power. Electric strikes use low voltage – between 12 and 24. Homeowners and businesses prefer 12 volts because they can easily get batteries for backup. However, you may consider 24 volts with its lower current draw that enables many strikes using single power source. Take control of your security at home or in the office. You do not want burglars or thieves to ‘take over’ your properties thus you should ensure that you are protected. Installation of security systems is a must – include electric door strike. However, all your efforts will be put to nothing and the security of your home and business will be at risk if you will ask just anyone to install it. It is important that you give this task to professionals like us. 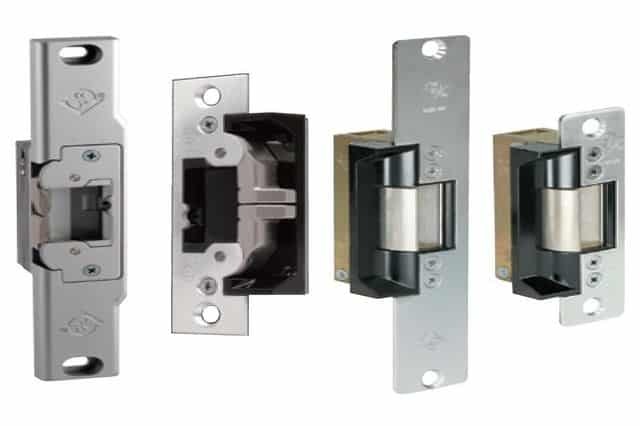 We have the knowledge and the ability to choose, install, and service these locking devices. It is true: the quality of the electric strike San Diego is of the same importance in choosing who to hire to install it. You do not want to save a few dollars on something that will not last long, right? So, if you are willing to spend on a higher- or reasonably-priced door, frame, and access control system, you should do the same for strikes. Look no farther because we also have a wide range of strikes to choose from. We only carry the most trusted brands so you can rest assured that what you will have will last for a longer span of time. We guarantee your satisfaction in our locksmith services. Call us today at (866) 306-8557 and set an appointment. We can explain everything about access control systems and electric door strikes. We can show you each piece that we have in stock. We can provide you with service estimate so you will know how much will be your total spending. You may ask: Why make your life miserable by making research on which security systems, such as access control systems, are suitable for your needs when you can simply use high quality locks? Isn’t it that locks are made to secure doors? So why think of other ways when you have the simplest approach in front of you? Why spend so much if all these home and business security devices and systems aim the same thing: to protect your safety and privacy? Yes, you are right. From the simple locks to the high security locks to the access control and other security systems, all these work for one goal: to keep you and your property safe. But all these differ in the level of protection they can give. For instance, an ordinary door lock can be easily broken with just one or two blows and burglars can do already open your door. A magnetic lock is a high security device that cannot be easily broken because it is made of solid materials. On the other hand, access control systems, which often make use of electric strikes, brings the security of your premises to the higher – if not the highest – level because these do not make use of keys. Doors or locks require activation or authentication before anyone can get in. Authorized persons are given access through PINs, passwords, numeric codes, fingerprints and others. Now that you already understand the differences, are you convinced now that you need access control for your home or office? Then talk to 7 Day Locksmith customer support staff at (866) 306-8557 and we will gladly assist you with your needs.